Every year, the Occupational Therapy Association of California holds a state-wide conference. This year the conference will be held Oct 25-28 just down the street from us in Pasadena, CA. OTAC Conference is one of the highlights of my year, not just because I’m the OTAC liaison for my 2019 graduating class, but because I truly believe in the mission of OTAC and am proud of how the organization serves our profession. OTAC is a membership organization, meaning that the bulk of the operating budget is directly gathered from current professional and student memberships. Here at USC, the student body elected to require all currently registered students maintain active memberships, and I am so proud that we do so. The money raised across the state fosters a wide variety of leadership and professional development initiatives, but most importantly it is utilized for legislative advocacy efforts. AB221 (Update of the Occupational Therapy Practice Act), which was signed into law by Governor Brown several weeks ago, is a recent success story of these dollars at work. I encourage you to learn more about the OT Practice Act and how it has been amended to reflect the modern-day needs of patients and the current services offered by occupational therapists and occupational therapy assistants. These are the important issues of our day. So, for those of you considering a career in Occupational Therapy, I cordially invite you to conference to learn more about our profession. For those of you who are currently students, I invite you to conference to learn about ways in which to become a more competent practitioner, advocate, and future leader in the field. And for those of you who are already licensed professionals, I encourage you to come to conference with an open mind (there’s always something new to learn), pass on your considerable knowledge to future practitioners, and keep your OTAC membership current! The stakes are high. I don’t believe it’s an overstatement to suggest that the future of our profession will be shaped by how directly students and professionals continue to engage with our state and national professional organizations. If you’re like me, you can’t walk past a construction site without wondering what’s going up. Here at HSC (USC Health Science Campus) there’s a lot to wonder about! We are fortunate to be in school at a time when the university and is significantly investing in infrastructure, so I thought I’d take a moment to share with you a little about some of the projects we students walk by on a daily basis. Street Beautification Project – in process; intended to make the campus more publicly accessible and pedestrian friendly. 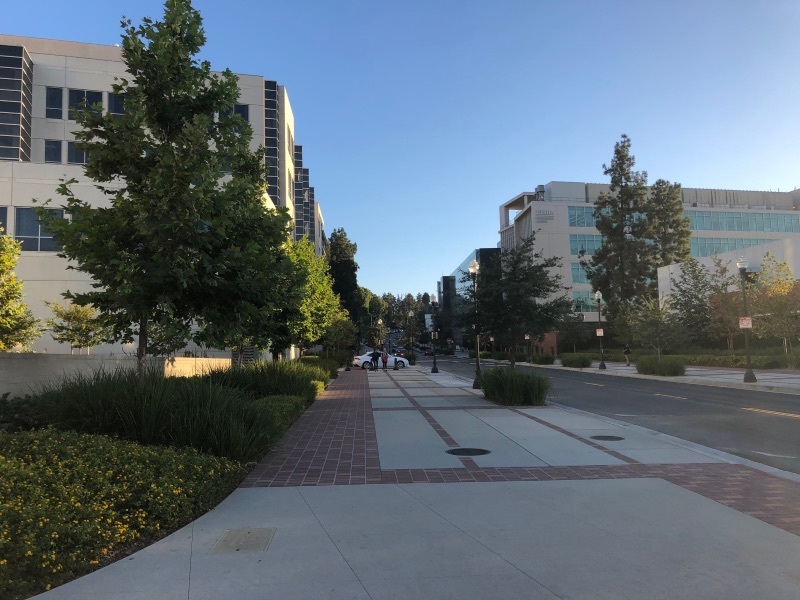 Improvements include wider sidewalks for a safer environment and more usable public space, new vegetation including drought tolerant flora and 200 new trees, and undergrounding of overhead utilities. Norris Healthcare Consultation Center – 114,000 square foot clinical building housing USC Institute of Urology, an infusion center treating both cancer and non-cancer patients, a women’s specialty care and breast imaging center, the Transplant Institute and the Outpatient Surgery Center. Just opened in January 2018! Hyatt House – A new 200 bed hotel with extended stay suites! Facilities will include ground floor retail with a sit down restaurant. 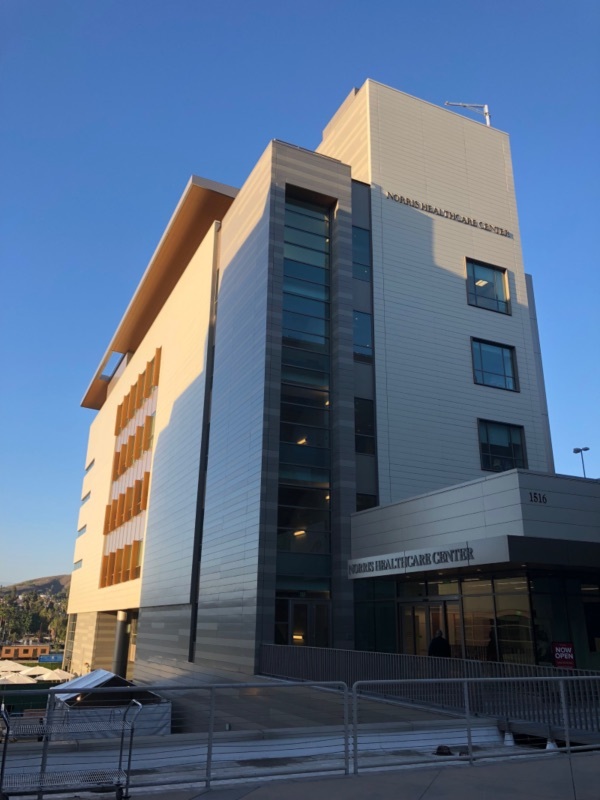 Its convenient location right next to the San Pablo Parking structure and Curry Residential Complex will make it an ideal place for OT Families to stay when in town for the white coat ceremony. And this is just the beginning. 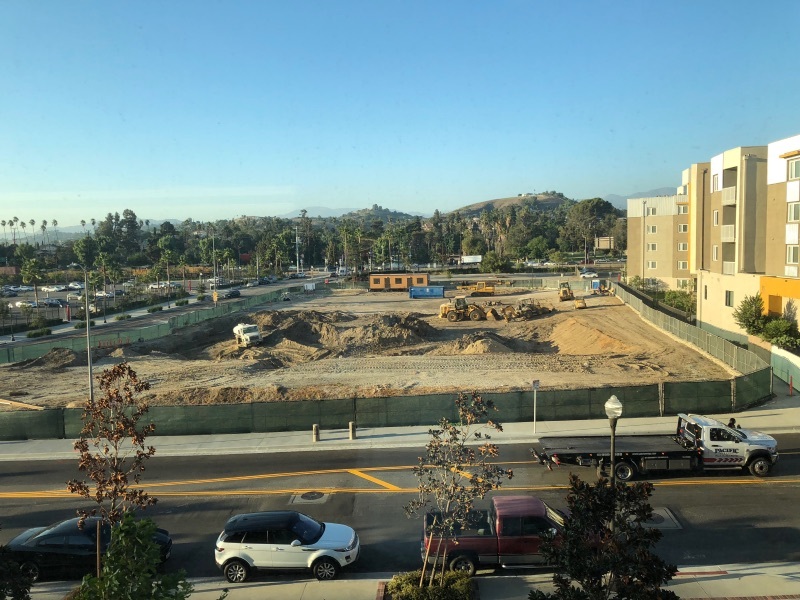 If you’d like to learn more about the HSC master plan feel free to check it out here, and keep in mind this isn’t even inclusive of all the work being done to county owned buildings at LAC-USC hospital right next door! LAC-USC master plan can be viewed here. It’s an exciting time to be a student at USC. School is really the focus of my family at the moment. As I begin the last year of my master’s program my son is beginning his first year of preschool. We both get dressed in the morning, have some cereal together, and make our way to class. What we do there, however, is a little bit different. While I spend most of my day engaged in lively discussion with professors and collaboration with student colleagues, his main occupation at school is play - and this is just as it should be. Fred Rogers once said “play is often talked about as if it were a relief from serious learning. But for children, play is serious learning. Play is really the work of childhood.” To my knowledge Mr. Rogers wasn’t an OT, but with this statement he sure sounds like one! I love the sentiment, and am filled with gratitude when I consider what the occupation of play still brings to my life even though my own childhood is firmly in the rearview mirror. Whether playing with trains on the floor when I get home from work, “racing” to see who can put their shoes on faster, or playing the “quiet game” at church, I relish the opportunity to be pulled into the moment by my son’s insatiable appetite for play and am often impressed with how functional it can be for us both. Dr. Kingsley, my pediatric immersion professor, always encouraged us to frame therapeutic interventions into the context of play and now it’s easy for me to understand why. How cool to be in OT school learning things that are not just important for my future career, but also contribute to my being a mindful, deliberate, patient, and informed parent. Timothy Leary said, “if you don’t like what you’re doing, you can always pick up your needle and move to a new groove,” and when I was 29 years old I took this message to heart. My first career was fulfilling in a lot of ways, but lacked a component of service that I had come to realize was important to my own emotional health. So there I was, passionate about helping people and interested in research, but unsure how exactly I fit into the greater landscape of healthcare. I began to actively volunteer in a variety of settings and was finally introduced to OT. I’ll never forget it, because it felt like at last there was a word for what I wanted to do! OT’s primary concern is quality of life, and I fell in love with the holistic and patient-centered approach of our discipline. I find that OTs are uniquely qualified to address both mental and physical health in a broad variety of settings with patients/clients across the lifespan, and I love being part of it. I am honored to study in the USC Chan Division of Occupational Science and Occupational Therapy and am filled with eagerness to apply that knowledge during real world patient encounters both in fieldwork and beyond. Today is our first day back at school after 3 months summer fieldwork. It feels so good to catch up with my student colleagues but I find myself thinking about my patients and clinical instructors I had gotten to know so well this summer. What are they up to?? How are they doing?? No way for me to know right now sitting in class . . . but I do know this: I think the fact I’m thinking about them is evidence that I’ve found the right groove for me.